The 'queen' of Bollywood, actress Kangana Ranaut is known for her acting mettle. She has starred in a number of hit films and has time and again proved her prowess in the craft. Kangana is also talked about for having an edgy sense of style. She does things differently and that's what defines the Himachali beauty. On Tuesday, the lady was spotted exiting Manikarnika producer Kamal Jain's office looking like a breath of fresh air wearing a Ivory-coloured suit. You possibly cannot miss her charm! Kangana has been shooting extensively for a biopic based on the life of Rani Laxmibai of Jhansi. Titled as 'Manikarnika: The Queen of Jhansi', it captures the struggles and inspirational life journey of Rani Laxmibai. The film has been directed by Krish and stars Kangana in the titular role of the Rani. It will hit the screens early next year. 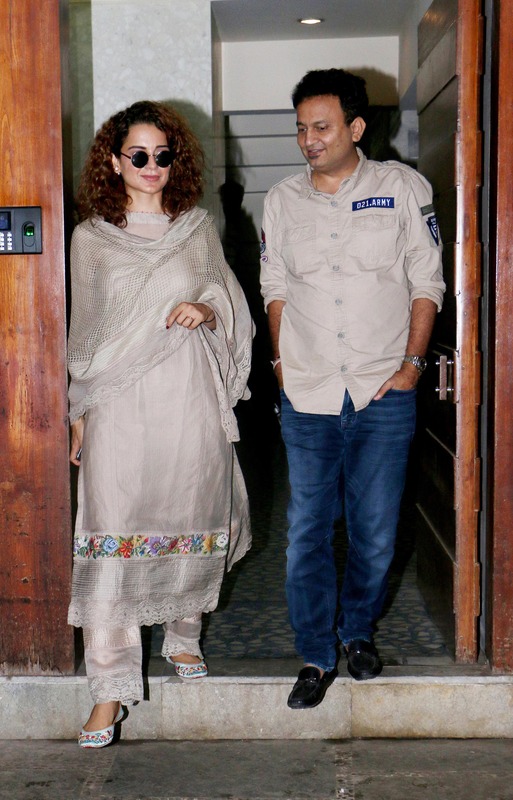 In the photos, the 'Queen' of B-Town is seen exiting the office of 'Manikarnika' director Kamal Jain. She was seen waving at paps and her fans. You possibly cannot miss her charm in this Ivory suit and round shaped glares which is giving full retro feels. The minimal make-up with a tousled hairdo rounded off her look. She completed her look with pastel blue juttis. She is known to wear traditional Indian outfits with much sass and that makes her stand apart from the rest. The actress's stylish entries have always received a thumbs up from fashion experts. She is quite a head turner. Kangy is also known for her sassy replies and interesting one-liners. The queen of B-Town doesn't really shy away from calling a spade a spade and that often grabs headlines. 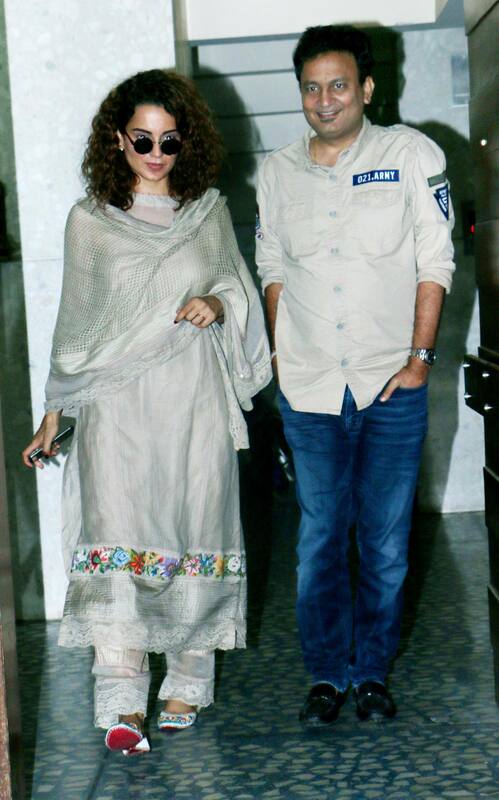 Kangana has been shooting extensively for a biopic based on the life of Rani Laxmibai of Jhansi. Titled as 'Manikarnika: The Queen of Jhansi', it captures the struggles and inspirational life journey of Rani Laxmibai. The film has been directed by Krish and stars Kangana in the titular role of the Rani. It will hit the screens early next year.